Whenever we take a step towards getting fit, our main aim is to lose weight. But is that the right approach? Muscle is heavier than fat but leaner. It is like comparing ten kg of cotton with ten kg of iron. The weights of the things are same but the space occupied is much less. Hence it is important that we understand the difference between weight loss and fat loss. Fat loss diet not only focuses on reducing your weight by reducing your fat percentage in body but also work on increasing muscle, tones our body and makes us look leaner. More muscles in our body help improve our metabolism because muscles burn more energy than fat. Fat loss diet is appropriate for people who are struggling with weight gain and are not sure how to lose it. Also for individuals who want to chiseled physique, looking for muscle growth and fit bodies. In Ayurvedic Diet, we first understand what kind of body type you have. Some tend to lose fat faster while others metabolism is sluggish. 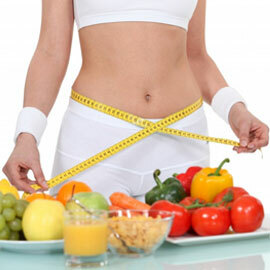 With Ayurvedic diet, food choices are given that boosts metabolism to burn fat faster.